A decade after: Where are Friends stars today? Ten years after their hit sitcom ended, which of the Friends cast has had the most success? 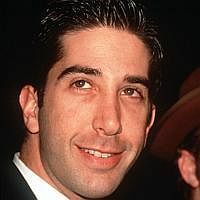 His post-Friends TV career has seen a succession of flops: Studio 60 On The Sunset Strip, Mr Sunshine and Go On were all cancelled in their first seasons. 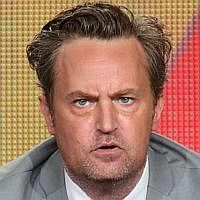 But he is making another play for it this year with a new TV comedy, The Odd Couple, which he co-created and stars in. 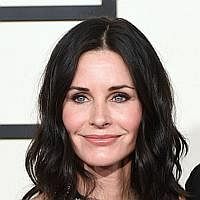 It figures that one of the most popular members of the Friends cast, she (her trend-setting character had women running to their hairdressers for "the Rachel" cut in the 1990s) has had the biggest career since the show ended in 2004. She has enjoyed a steady stream of box-office hits, including comedies such as We're The Millers (2013), Horrible Bosses (2011), Just Go With It (2011) and Marley And Me (2008). She made the occasional foray into drama, including this year's indie flick Cake, which briefly generated some Oscar buzz for her. Add to that lucrative endorsement deals for products and she is by far the most commercially successful of the group. She does not have Aniston's film career or bankability but creatively, Kudrow has arguably achieved more. She is the star and co-creator of two ongoing TV shows: The Comeback, where she plays a washed-up former sitcom star, and as an online counsellor in the Web-to-TV series Web Therapy. Critics have a lot of love for both shows and for the star, whose quirky screen presence seems to thrive in dark comedies. 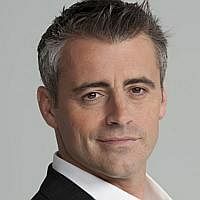 He stumbled when his Friends spin-off Joey (2004-2006) tanked. But he has staged a comeback with Episodes, a sharply observed satirical series about life in Hollywood. He has scored major points for pulling off something few actors do well: play themselves. His role as a well-meaning but hilariously narcissistic version of himself won the 2012 Golden Globe for Best Actor in a TV Comedy. Her film career pretty much ended with the Scream horror movies (1996-2011), but her sitcom Cougar Town has done consistently well. Her role in the show as a woman trying to cope with life as a single divorced mother in her 40s earned her a Golden Globe nomination. The show has turned in solid ratings in the United States, where it is in its sixth and final season. He seemed to have vanished off the radar after Friends, but he has been a director on TV and in film. His biggest directorial credit is the 2007 comedy movie Run Fatboy Run starring Simon Pegg. He also directs and performs on stage and has co-founded a theatre company. His most high-profile acting role since Friends was voicing the part of Melman the giraffe in the Madagascar films (2005-2012).